The appointment of Barry Stewart as the next editor of the Otago Daily Times was announced yesterday by the managing director of Allied Press, Sir Julian Smith. Mr Stewart (57) will be the 15th editor in the 154-year history of New Zealand’s oldest daily newspaper. 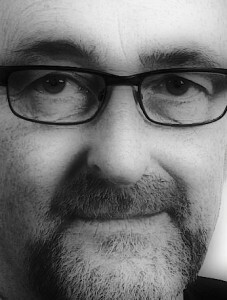 Mr Stewart will also be editor-in-chief of Allied Press community newspapers The Star, The Ensign, Mountain Scene, Central Otago News, Southern Rural Life, The Courier (Timaru), Central Rural Life, Ashburton Courier, The News (North Canterbury), Southland Express and the Oamaru Mail. TODAY local businessman Jon Leng, owner of Chapel Apartments at 81 Moray Place, found himself being manhandled / roughed up by police officers as he was shown out of Dunedin Central police station. Did Our Lovely Police keep any video footage of the incident – WIPED?!? Oh, three foyer cameras ‘not online’, they said? Apparently, the moment selected to ‘move on’ Mr Leng coincided with the absence of witnesses in the foyer…. conveniently, the woman receptionist was seen to lower her head (and eyes) for the expulsion. Hopefully, Otago Daily Times, which Mr Leng visited shortly after the bruising, will run some decent coverage of the ruffled protagonist with his broken ($800) glasses. Perturbed about the advertised 130-person party (Ball!) 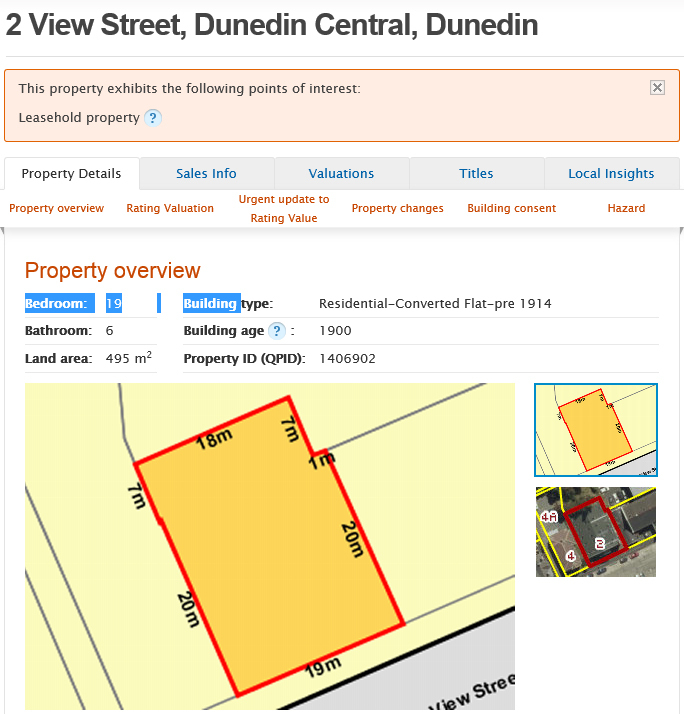 at Backpackers, next door at 2 View Street, Mr Leng had visited Dunedin Central to speak to Inspector Melanie Aitken who heads the investigation (into harassment and intimidation of View Street residents) that followed screening of ‘Party Central’ on Sunday TVNZ (10 May 2015). Because ‘Mel’ Aitken made herself unavailable, Mr Leng decided not to leave Dunedin Central until she met with him. Fair enough. At some point, however, he was forcibly removed from the station. 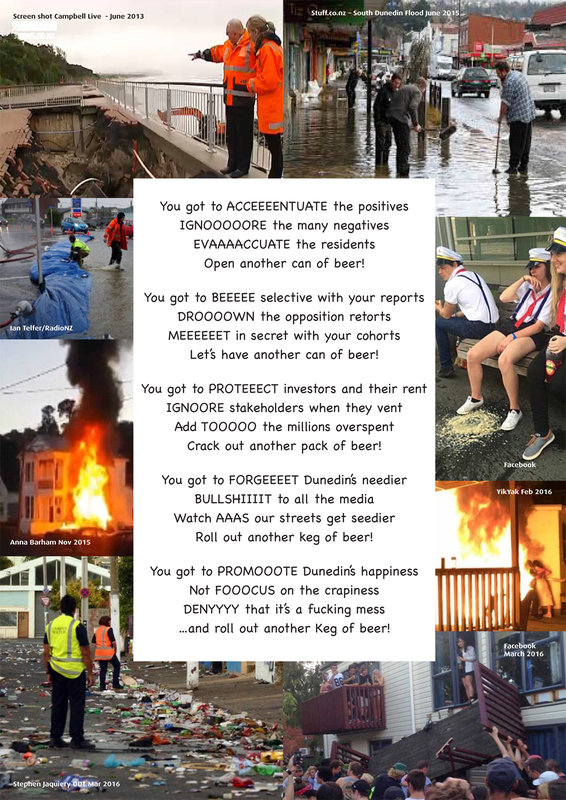 Residents of a notorious Dunedin student party flat have sent a letter to neighbours, saying they are “having a Ball” on Friday but are “really keen to minimise any inconvenience to you”. 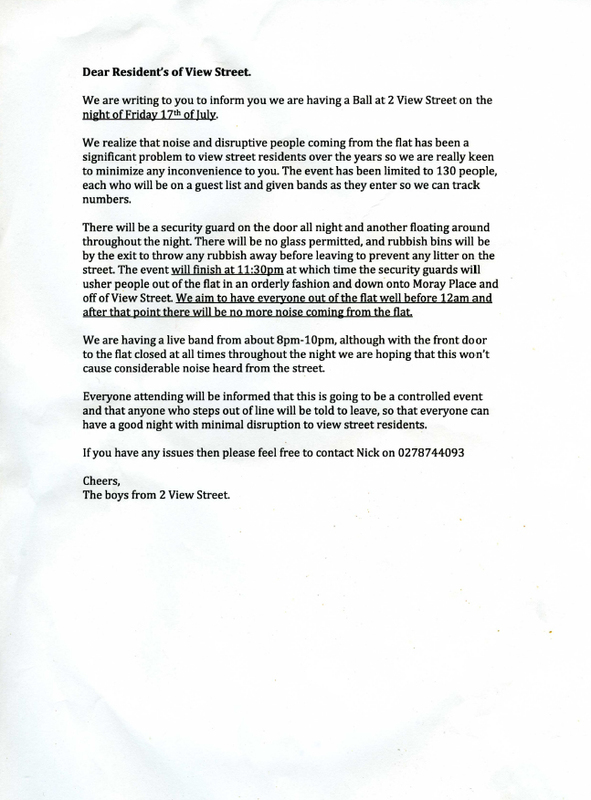 However, the owner of a neighbouring building, [Jon] Leng, is sceptical the event in the View St flat will be any different from previous parties. […] Mr Leng rents his View St property to short-term tenants, and said every time the student flat held a party in the past, he had to provide refunds. Note: According to DCC, Backpackers (2 View Street) may host a maximum of 50 people at ‘The Ball’, not the 130 persons invited by tenants. View Street. A heritage street containing historic townhouses (once private family residences, of which only one remains in this use) and apartment buildings. 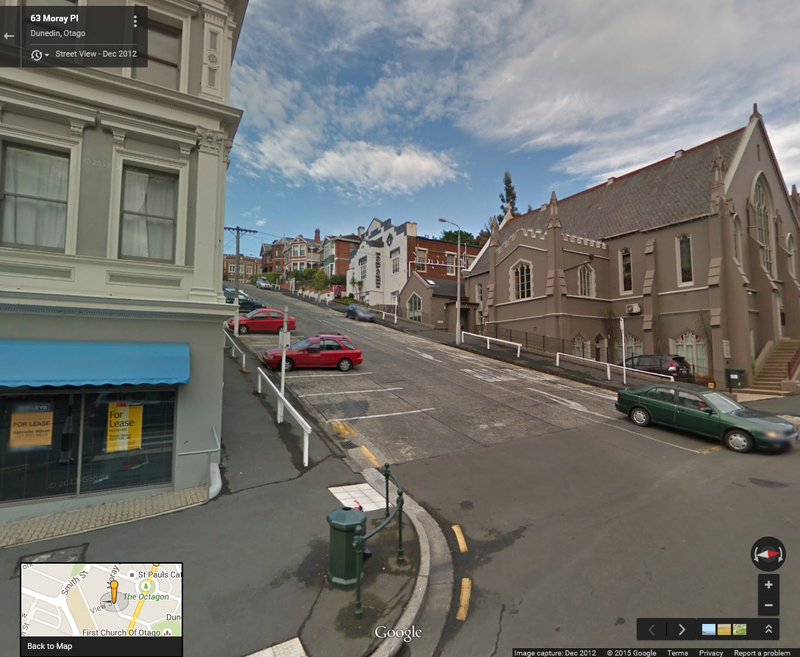 Otago Girls’ High School provides an ‘architectural’ dénouement at the top of street. 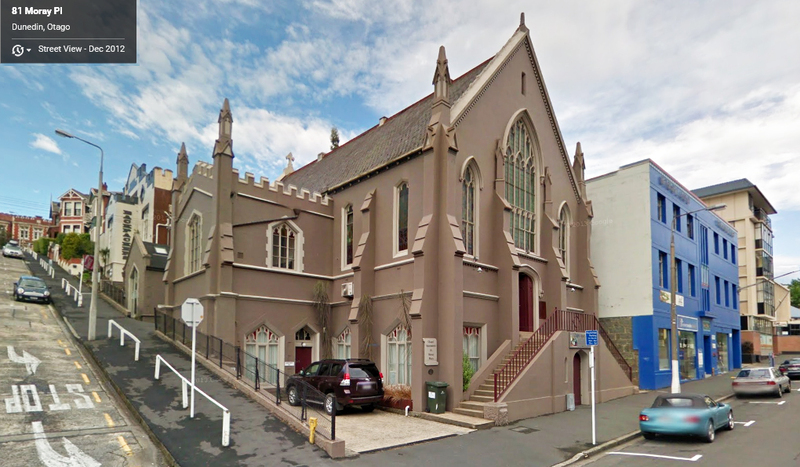 The church building to Moray Place and View Street has been converted to upmarket apartments. The infamous 2 View Street (student proof carpet….) is second from right (cream painted facade), a former church hall then backpackers. It was purchased by a Mr Nicolas Beach in 2010. Mr Beach on-sold the property for an artificial profit (don’t ask). From that time it’s been all downhill for other people living on the street —with so little support from city authorities, the property owner (currently, an absentee living in Australia), and the university. It’s called turning a blind eye, passing the buck. Cr Andrew Whiley as part of the ‘conversation’ gets it completely wrong, due to his own bias. 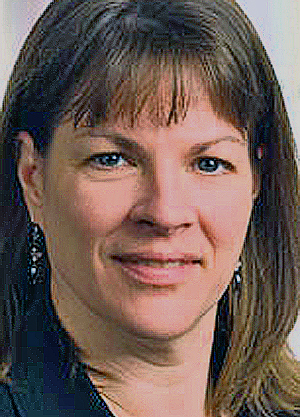 █ Carol Devine will be interviewed by Jim Mora this afternoon, on RNZ National radio – listen in sometime after 3:40 p.m.
█ ONE News explores the Dunedin issues raised by Sunday TVNZ (10 May) in tonight’s bulletin. Oh yeah, Otago students start a petition !! !